Library is the soul of our College. V.S.B. Engineering College has built up a reputation of higher academic standards in all specialties of Engineering since 2002, a true reflection of dedication and hard work. 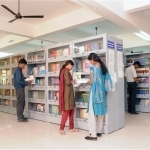 One of the pillars of such high standards is its high quality Library facilities. This college’s academic excellence is reflected in its harmonious blend of infrastructure and its academic environment with high quality Library. V.S.B. Central Library caters to the information needs of the institute’s faculty, students, staff and researchers. It houses around 40,000 books covering all disciplines of engineering, technology, and management. The collection in the library comprises printed documents such as books, reports, thesis, standards, atlases, patents and journal back volumes. The non-book collections include materials like audio/video cassettes and CDROM discs. There are Slide Projectors and other allied equipments in the Audio – Visual library. Under the web consortium, the library provides on-line access to a large number of full-text journal databases from various publishers. These e-journals are accessible on intranet to campus users only. The library provides various services for its members such as lending of books and journal back volumes, reservation of books, inter-library loan, document delivery, photocopying, CDROM, Internet services and video screening. All the library activities are computerized, including bar-coded ID cards and separate On-line Public Access Catalogue (OPAC) terminals for searching books in the library. A comfortable and spacious seating arrangement provides a complete academic atmosphere in our library where students can sit and concentrate. The catalogue of books helps students to identify their needs and quick reference. It is updated regularly as the new books are added. A Display Board has also been provided in the Library where students can view interesting articles and news-clippings directly. Library was established in the year 2002. Dedicated 10 Computer systems are made available in the Digital Library. The Library has a collection of more than 40,000 volumes with 150 national journals and 3409 international journals on the subscription list covering technology subjects. Library is under IP based Video Surveillance. One Day National Conference was Conducted in Digital Resource Initiatives in Libraries – DRIL. 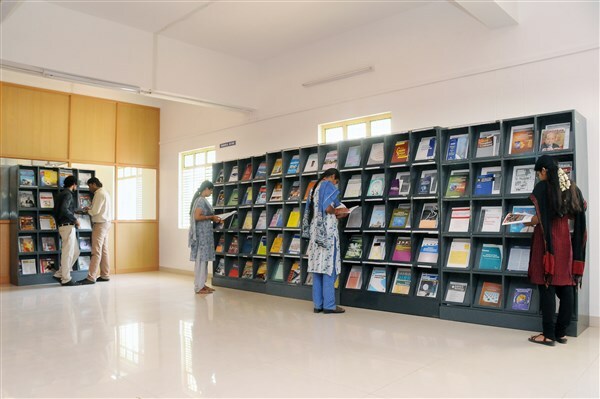 Our Library serves as a Resource Center and aims to develop a comprehensive collection of books and journals useful for faculty and students of the institute and provides an efficient dissemination of knowledge. 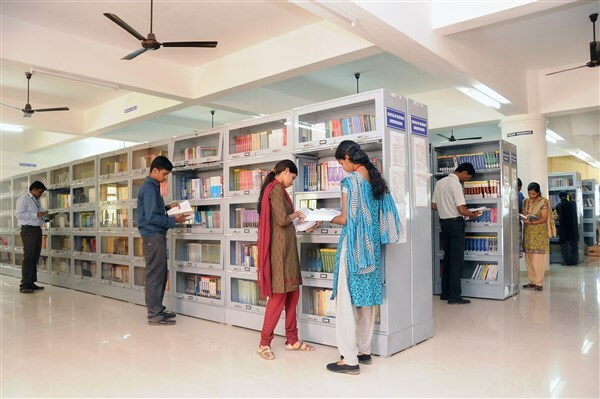 Our Library aims to be one of the best among Engineering College Libraries in the World. 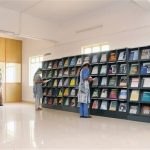 Our Library intends to offer comprehensive services related to dissemination of knowledge. To educate and prepare men and women to contribute as Dynamic Engineers and Citizens through the Innovation, Integration, Application Transfer of Engineering Knowledge. To be recognized as a world class Engineering College Library that provides excellent learning materials timely and accurate information in various print and non print formats. Monday to Saturday : 8:30 a.m. to 10:00 p.m. Holidays: 8:30 a.m. to 5:00 p.m. Issuing and Returning of Books 09.00 a.m. to 06.00 p.m.
Books should be returned on or before the last date stamped. For belated returning of books Rs.1/- per day will be charged as penalty. Readers are responsible for loss of borrowed books. If any loss occurs for borrowed books, readers are strictly warned to replace original of the lost copy. In case due to unavailability of stock, twice the latest price of the books will be collected to compensate the loss. On any circumstances xerox copy of books are not accepted.